This week …Chris Collins was arrested, an Ohio special election was too close to call, and voters in four states picked their general election candidates. From Innate to Inmate? Just your average congressman-gets-arrested news cycle Wednesday. 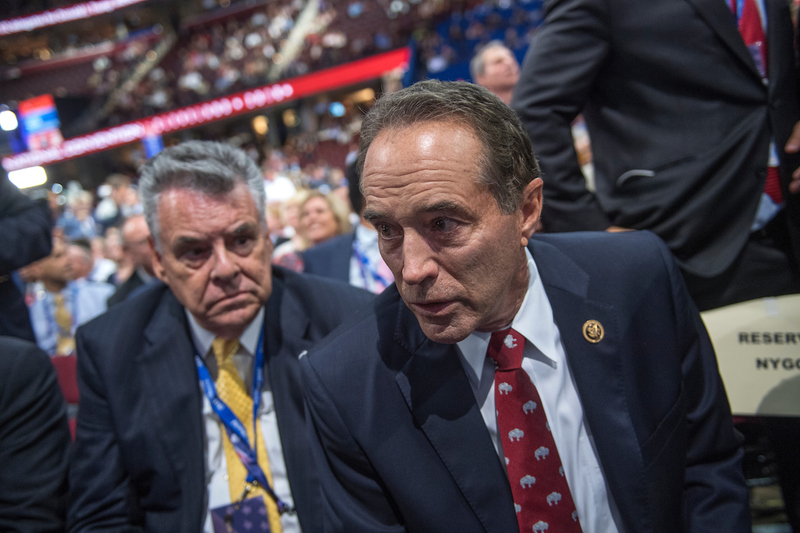 GOP Rep. Chris Collins — the first member of Congress to endorse Donald Trump way back when — was indicted on charges related to insider trading and lying to the FBI (cue flashbacks to said congressman bragging off the House floor about making millionaires in Buffalo). And he’s still running for re-election, which could help Democrats looking to flip his reliably red seat. Inside Elections with Nathan L. Gonzales shifted the race rating from Solid Republican to Likely Republican following the news. Even if Collins didn’t want to run, it’s really hard to take him off the ballot at this point. So he’s still on track for a fall matchup against Democrat Nate McMurray, the Grand Island town supervisor, who said Wednesday that his campaign had seen a boost in fundraising after the news broke. *Bookmark* Who else might start taking heat in the wake of the Collins indictment? Keep an eye on these politicians who owned stock in Innate Immunotherapeutics, the same company that Collins was tied to. Too Close to Call: Even though Republican Troy Balderson is in the lead in Ohio’s 12th District, Democrats are celebrating the closeness of this special election in a district President Donald Trump carried by 11 points. Meanwhile, Republicans are now openly hitting the panic button, with a super PAC that boosted Balderson warning other GOP candidates that they’ve got to step up their fundraising game. Here are our three midterm takeaways from the race and a quick video from Simone breaking it all down. And now that the last special election is behind us (sort of), it’s time to remember the wild ride special elections have taken us on over the past two years. (What’s an off-year?) And take a listen to the Political Theater podcast about the one thing all 11 specials have had in common. Missouri: Josh Hawley officially became the GOP nominee to take on Democratic Sen. Claire McCaskill. And Democratic Rep. William Lacy Clayfended off a challenge from nurse and activist Cori Bush, who had been backed by Alexandria Ocasio-Cortez. Washington: As of 3:20 p.m., The Associated Press had still not called the Democratic nominee in Washington’s 8th District, one of several Toss-up races this cycle. But Democrats might be feeling pretty good about the Evergreen State for a few other reasons. Kansas: While a lot of attention has been paid to the governor’s race, Tuesday’s primaries set up some competitive House races too. And one candidate could make history for the state if she unseats 3rd District GOP Rep. Kevin Yoder in the fall. Michigan: Democrats are targeting five seats in Michigan, with several emerging as top races for the fall. In the most competitive of them, Hillary Clinton’s favorite won the Democratic nod and will face off against a GOP businesswoman who was the co-chair of Trump’s state campaign in 2016. Elsewhere in the Wolverine State, voters chose replacements for longtime Democratic members who’ve departed or will be doing so. Looks like there’ll be another Levin in Congress in 2019, but not another Conyers. Two for the Price of One: Things got extra-interesting in Michigan’s open 13th District on Wednesday, when Detroit City Council President Brenda Jones was declared the winner of the special election primary to succeed former Rep. John Conyers Jr. The night before, former state Rep. Rashida Tlaib won the six-way general election primary, likely setting herself up to be the first Muslim woman elected to Congress. Tlaib ran in the four-way special primary, too, but she finished second to Jones. That means the 13th District could have two new representatives — one who will serve the final few months of Conyers’ term and one who will take over in January. Attention House Republicans: Nathan moved two more GOP seats into the Toss-up column, making for a total of 13 Toss-up House races, 11 held by Republicans. Find out which two seats are now Toss-ups here. It’s no secret that Congress has been plagued by gridlock but, as Nathan explains, politicians might not always be the source of the problem. And as a bonus this week, he spells out why looking at the midterm elections as a “wave” might not be the best metaphor for this particular cycle. Enter: the “fire” metaphor. 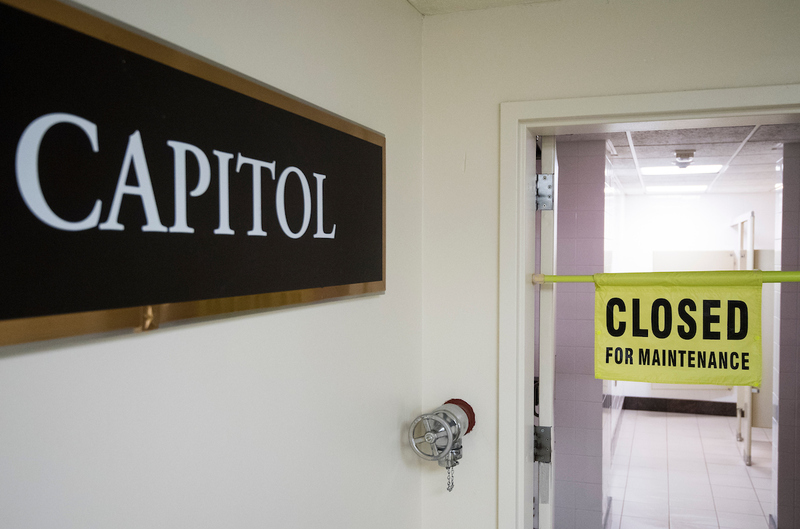 Connecticut’s 5th District opened up in April, when Democratic Rep. Elizabeth Esty announced she wouldn’t run for re-election after facing criticism for her handling of a former top aide who sexually harassed a female employee in the office. Esty won a close race for the seat in 2012 but has been comfortably re-elected since. Hillary Clinton carried the district by 4 points in 2016, and Inside Elections rates the race Solid Democratic. The two Democratic candidates who have raised the most money are teacher Jahana Hayes and Mary Glassman, the 2006 nominee for lieutenant governor. Glassman has the state party’s endorsement, but Hayes still qualified for the primary ballot. The two women faced off at a debate in Newtown last week, where there were few policy differences between them, according to the Hartford Courant. Both expressed support for “Medicare for All,” but Glassman voiced more concern about how to pay for the system. For next week, email us at attheraces@cqrollcall.com and let us know which race you want to know more about: New Mexico’s 2nd District or Florida’s 25th District.